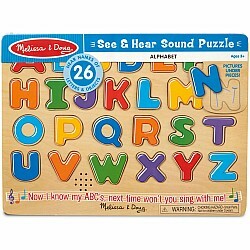 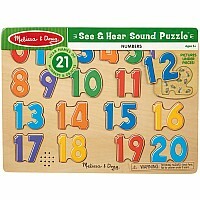 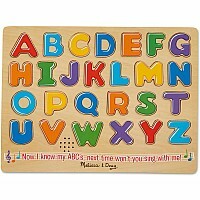 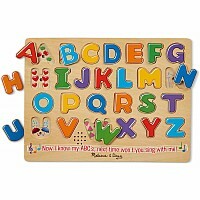 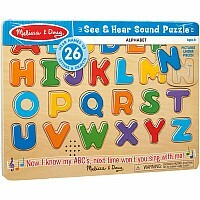 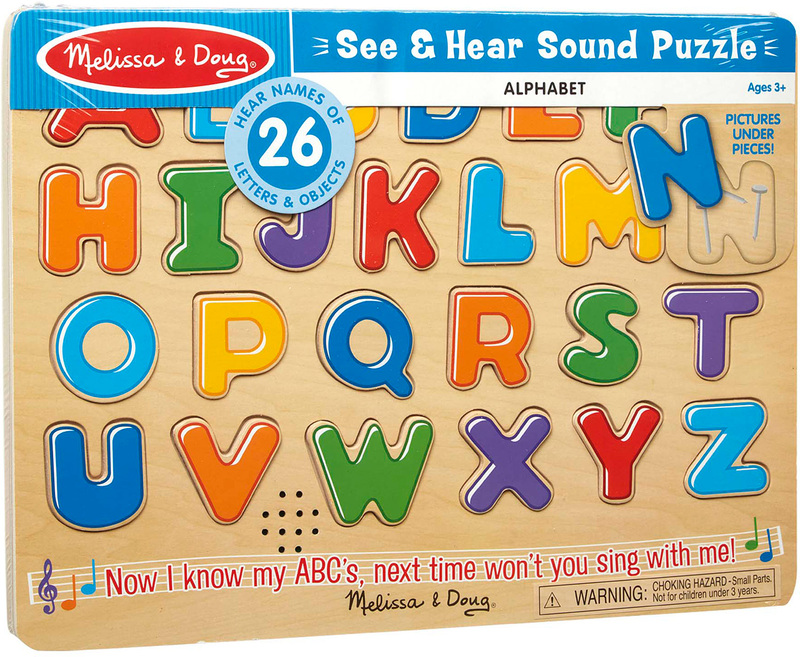 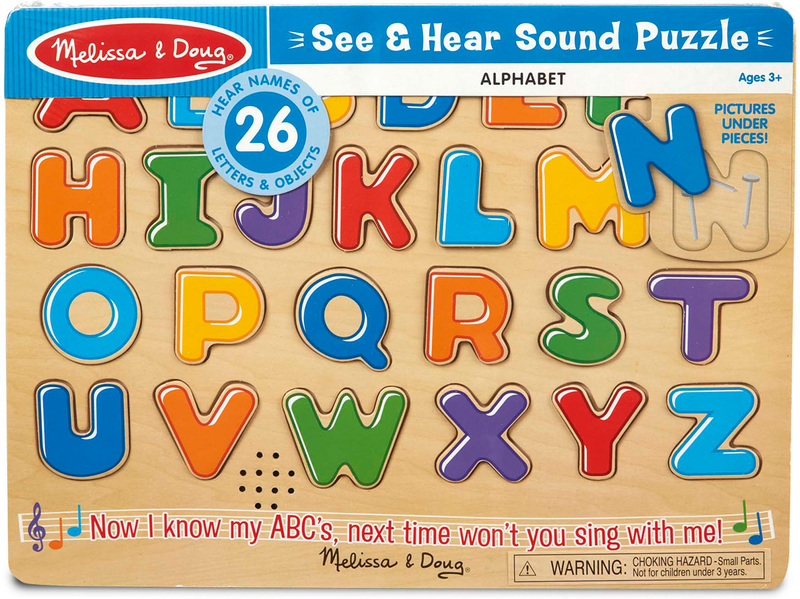 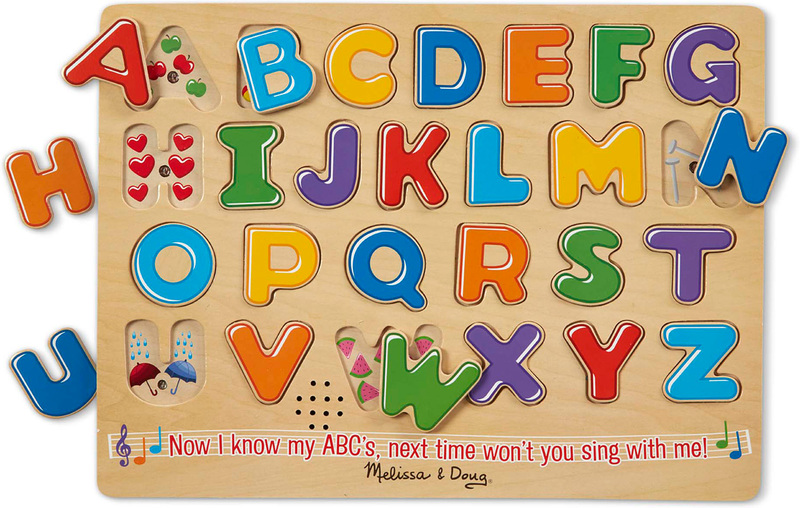 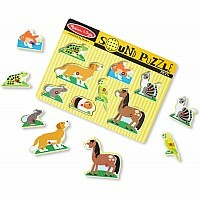 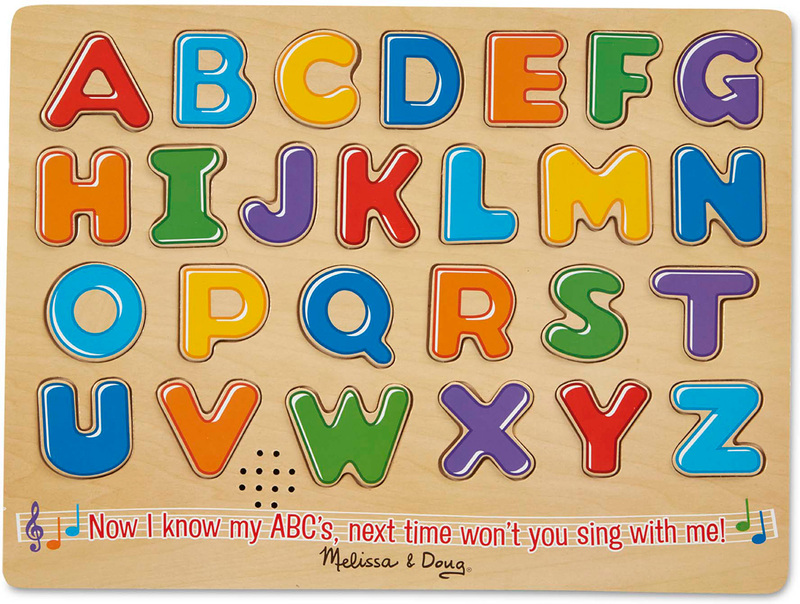 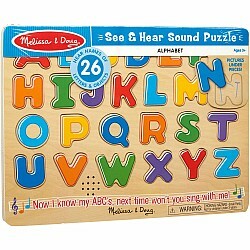 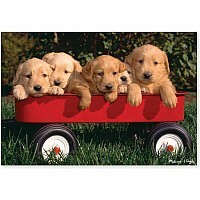 This 26-piece wooden puzzle pronounces the correct name of each letter when it is placed correctly! 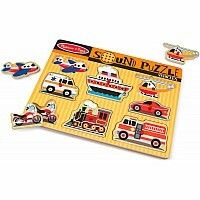 Pieces are slightly raised above the puzzle board for easy grasping. 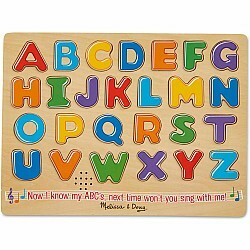 Colorful pictures underneath each piece help reinforce the relationship between letters and their sounds.